[en] G-Dragon to collaborate with Missy Elliott and Diplo for his new solo album! YG is back with exciting news for all VIPs out there! Today, the agency released another “From YG” notice with news about the comeback of none other than G-Dragon, BIGBANG’s charismatic leader. 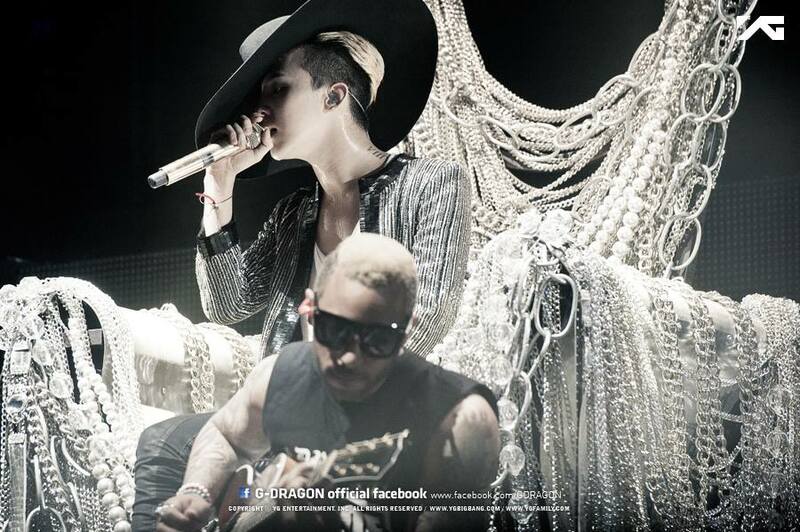 Even though he is currently busy with preparing for the final stage of his “G-Dragon 2013 World Tour: One Of A Kind”, the singer is said to have his second full length solo album out on August 21! According to YG, G-Dragon is “in charge of composing and writing of every song” as well as the whole album production process. Even though G-Dragon is said to be the main composer and producer of his new regular solo album, YG Entertainment’s Teddy has a finger in the pie too. The already well-known in-house main producer was thus in charge of the new track with Missy Elliott, giving it a very unique hip-hop beat. The album, which is yet to be officially named, will consist of 10 songs in total and is said to hit the final production stage within the next few weeks. The album jacket shooting will start as soon as G-Dragon finishes his world tour this weekend in Singapore. Further details on G-Dragon’s new album, including the full tracklist, will be revealed by YG soon! So stay tuned for any updates! prev [en][de] Dynamic Duo reveals album jacket and tracklist for “Lucky Numbers”! [en] K-Pop Dance Festival Vienna – Official Videos #6: O.M.G.! [en][sk] European teams for the 2013 K-Pop Cover Dance Festival: #2 – O.M.G.